Description: An unique flower or starburst pattern. This pattern is probably the most popular pattern on the internet. Because each cluster is a pattern onto itself, it is a fun pattern to change color on. Make each cluster the same color, or alternate the color every other cluster. You can even change the colors within each cluster to give it a unique look. 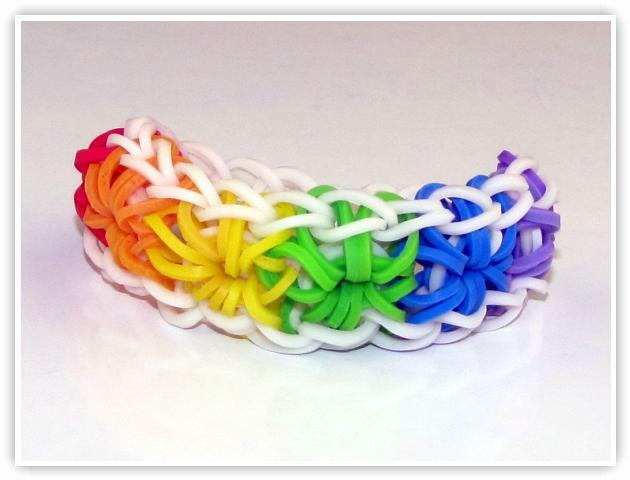 Anyway you look at it, it is a fun bracelet to make.